Learning a new language gives you the experience and knowledge to compare the pros and cons of two programming languages, which essentially enable to write better code. Most of the language I suggest Java developers learn is JVM based because they are easy to learn for Java programmers. They are related to Java in one or other way and that's why they help the expand the mind of any Java developer. Here is my list of three programming language Java developer should learn in 2019. You might be thinking that why I have included only 3 languages, why not more? Well, learning a new language is not that easy, it takes time and effort to learn a new programming language and even if you can learn just one that would be more than enough. But, if you are very enthusiastic and need programming languages other than JVM ones, you can check my list general purpose programming languages every programmer should learn. So, without any further ado, here is my list of 3 programming languages Java developer should learn. There is no surprise that all of these languages are JVM based languages and easy for a Java developer to pick. They will complement your Java development skill and will be new tools in your arsenal. Scala has been around for quite some time now and when it first came it was touted as the best language to replace Java. Well, that didn't happen especially after some functional programming features introduced in Java 8 e.g. lambdas and stream, but, Scala is still the language to learn for Java developers. In past a couple of years, Scala has grown and many more companies and startups have started using it e.g. Uber, Sony, Amazon, Autodesk etc, which makes it one of the most sought skill. Popular Scala frameworks like Play, Akka, Spark are also helping companies to adopt Scala for web development and Big Data solutions, no surprise, that Scala developers are paid more than 120K USD on average. 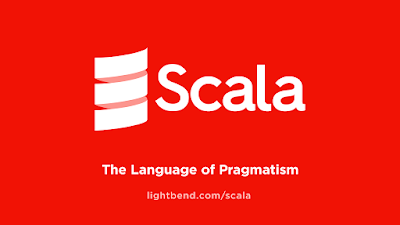 If you are looking for some exciting work and learn a functional programming language, then Scala should be your first choice and if you decide to learn Scala then Rock the JVM! Scala and Functional Programming for Beginners course on Udemy are perfect, to begin with. If you like the book then Scala for the Impatient from Cay S.Horstman is my recommended book. I like his style and has read many of his books e.g. Java SE 8 for the Impatient, Core Java 1 and 2 etc. Like others, this book also covers key concepts of Scala and help you to get going in quick time. Kotlin was introduced in 2011 by JetBrains (maker of IntelliJ IDEA, PyCharm, and many other top IDEs) but not many programmers paid attention until Google announced it as the official language for Android Development on 2017 Google IO. Like Groovy and Scala, Kotlin also runs on the JVM and compiles down to Java bytecode; you can start tinkering with Kotlin in an existing Java or Android project and everything will work just fine. 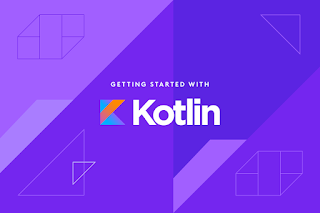 So, if you are interested in learning Android development and want to make your app safe from NullPointerException and want to give your function some purity, write some higher order function stuff or some functional programming stuff, then you should learn Kotlin in 2019. To start with, Kotlin Fundamentals is a decent course on Pluralsight. It covers all essential concepts in simple language and provides real-world examples to help you understand those concepts and apply them as per your need. If you like a book, then Kotilin in Action is something you can read. It's both easy to read and comprehensive enough to cover essential details. I have explored the Groovy landscape in 2017 and from that experience, I can say that every Java developer should learn Groovy. It really complements Java programming with its concise syntax and powerful programming features e.g. collection literals, def to define anything, multi-line strings. After learning Groovy I realized that what I can do in 50 lines of code. It seriously reduced the lines of code to do something when you compare with Java and the best part of Groovy is that it is Java. One reason for me learning groovy was Spock framework, a descriptive and specification based unit testing framework. It makes unit testing in Java much easier and also extends what JUnit offers. If you decide to learn Groovy then The Complete Apache Groovy Developer Course on Udemy is a good place to start. 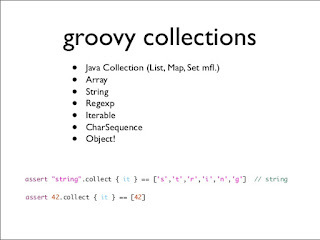 This course explains essential Groovy features in the simple language. If you prefer book then Making Java Groovy is the great book to start with. It helped me to write Groovy scripts in just a few hours. If you need more choices, you can check my list of groovy books for Java developers. That's all about 3 programming languages Java developers can learn in 2019. If you want to move to functional programming side then Scala is the best choice. If you are interested in developing mobile games and apps then Kotlin will help you, and if you want to do scripting then Groovy is the great language. It helps a lot in unit testing and build automation stuff. Since Groovy compiles to Java, it effectively compliments the Java programming language. Thanks for reading this article so far. If you like these programming languages and see the value of learning them then please share this article with your friends and colleagues. If you have any questions or feedback then please drop a note. How is Clojure compared to the above 3? What is its market value?